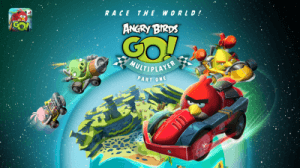 Angry Birds, the Rovio franchise that brought mobile gaming to the forefront, has released many iterations of its titles, and all continue to be updated with new levels. One of the newest is Go, which takes a different approach to things, bringing Kart racing to the franchise, and lots of interesting features with it. Now the game is finally receiving multiplayer mode, allowing gamers to test their skills against others. “This is the first part of Angry Birds Go! Multiplayer, and brings the quick race mode where you’re matched against the performance of three other players. Will you come out on top and leave them in your dust? For an even more personal experience connect to Facebook and you’ll be pitted against your friends to show them who’s the boss”, the official announcement states. You can grab the update now, though if you already have the game installed, then you should get it automatically. It’s free, but there are in-game purchases that can be made. The Angry Birds franchise has proven to be one of the biggest mobile gaming hits in the world, with multiple versions available for play, regardless if you use Android, iOS or Windows Phone. Regardless of which version you prefer, and they range from Rio to Star Wars, there is one that almost anyone will enjoy. Now a new one has launched, though it’s a bit different from what gamers have come to expect. Angry Birds Epic is a role-playing game (RPG) and it had a simultaneous launch across all platforms, including Android, iOS and Windows Phone. “In this all-new role-playing game, you lead your heroic flock into battle against the green snout-nosed scoundrels in a fantasy Piggy Island. From tribal villages and frosty mountains to tropical beaches and mysterious caves, get ready to navigate your way through this treacherous land and meet all kinds of wacky and offbeat characters”, the Finnish game studio states. All platform versions are free to grab and play, so get ready to line up your birds, head after the pigs and enjoy some good fun during your next break. Rovio, the wildly successful game studio behind Angry Birds, has begun to tease a new offering. With the first Angry Birds Star Wars now complete — yes, there will be no more updates — the company needed a “latest and greatest” to get the attention of the masses again. Today the company teases “Angry Birds Stella”. “Get ready to meet Stella and her friends! 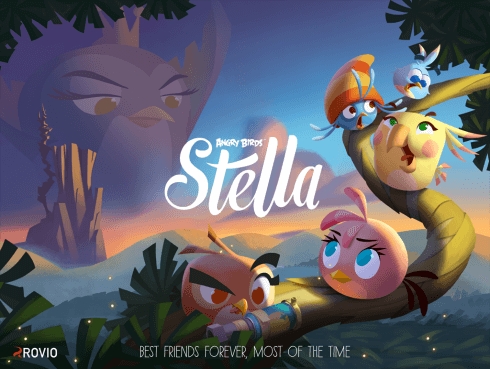 Stella may be pink, but she’s definitely one of the Angry Birds, a fierce and a feisty character with a great group of friends. Of course no story is complete without some interesting (fr)enemies”, Rovio announces today. The Finnish company give precious little in the way of detail, but did provide a screenshot to get everyone’s imagination working. You’ll have a while to wait, as the game won’t hit app stores until the fall of 2014. Rovio has rolled out version two of its Star Wars iteration of the popular Angry Birds game. With that now firmly in the market, and receiving updates, it seems the company is going to be killing off the first version. Today the Finnish game maker has released what it claims is the final installment for the first game. Thirty new levels were pushed out, with the final fifteen of them including battles fought at the Death Star. “Fight through the Death Star and engage in the biggest ever multi-level boss fight against Darth Vader and the Emperor that builds up to the dramatic reveal: who’s behind Darth Vader’s mask?” the company announced. Beyond this news, Rovio has also announced it will be closing down Angry Birds Star Wars on Facebook on March 3rd, 2014. Don’t worry, though, you can still get the game for your mobile device. 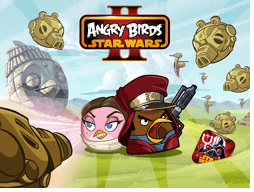 Angry Birds Star Wars 2 is the latest member of the family of popular games produced by Rovio. The game maker has been on a roll recently with updates to several of its titles, including the original game and also Seasons. Now the Finnish company has launched a new batch of levels for the newest game. This time Rovio is adding 44 new levels, 20 for the Bird Side and 20 for the Pork Side, plus two secret levels for each. These levels add Naboo to the game. “Get ready for the Battle of Naboo – the third chapter of Angry Birds Star Wars II that takes you to the epic conclusion of the first Star Wars movie, Episode I”, the game maker announces. Customer will be able to use Naboo’s giant trees and nature against the Pork Side high-tech army before facing the epic battleship blockade in space. Or, conversely, choose the Pork Side and conquer Theed City by using underwater gameplay. The new update is available for both Android and iOS, but if you prefer, you can also purchase PC-based version that Rovio sells for only $4.95. With Thanksgiving having now past, we reach the heart of the holiday season, with cold weather and frantic shoppers. 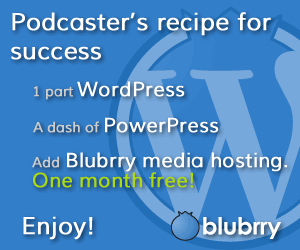 There are a number of ways to get into the spirit of the season, including the music you listen to and themes for your desktop and web browser. But, you can also look to mobile gaming as an option. For the second time in less than a week, Rovio has pushed an update to its popular Angry Birds series of games. While the last one was for the original version, this new update is for Seasons, which generally gets new sections that are based on the current time of year. 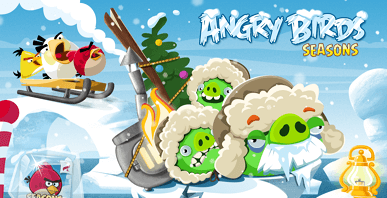 This update is no exception — “This all-new Angry Birds Seasons episode brings 25 festive, frosty and fun-filled levels, plus another 4 bonus levels”, to Finnish company claims. The new levels bring a change of pace, in that you can now fling the birds down into the water, in an attempt to have them rise back up and attack the pigs in a new way. Fans of the Rovio series of games can rejoice today, as the Finnish game maker is rolling out an update to its flagship mobile product. While it’s probably no longer the most popular Angry Birds, the original has become a classic in the minds of many gamers. “Today Angry Birds received an electrifying new update with 30 fun-filled levels set in Professor Pig’s lab”, the company states. It then proceeds to describe that customers will find the new levels contain a bonus — the Bomb Bird has now become electrified. “His temper has grown after he accidentally stumbles upon powerful potions and electricity in the Professor’s lab”, as Rovio describes it. Not to let a marketing opportunity fail to pass them by, the studio is also pushing a new tee-shirt emblazoned with the logo “shockwave”. It has also release a short trailer video to get you familiar with this latest update. You can watch the video below, but beating the levels is something we can’t help you with.